Have you been to the Settlement Building in Railtown? Did you know you could find wine, beer AND food in that one place? The Settlement Building is home to the Vancouver Urban Winery, Postmark Brewing, and Belgard Kitchen. 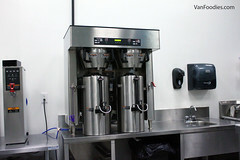 The Vancouver Urban Winery (VUW) produces wines from 100% BC grapes. For example, the VUW 2014 Merlot was made with 100% Merlot grapes from Osoyoos and Naramata. You would taste dark cherry fruit and sweet spice. Not only do they source grapes from a number of Okanagan vineyards and produce their own labels, but they also collaborate with other wineries such as Road 13, Seredipity, and Backyard Vineyard. Postmark Brewing mixes west coast lifestyle with the love for one (or two) great pint. Postmark Brewing was also the winner of the SMaSH Brewers Challenge at the 2017 BC Beer Awards event. Postmark makes some interesting beers; recently they just launched the Ginger Wit – it’s a Winter Ale balancing North West hops with the warmth of dark, rich malts. It’s hazy yellow, with a subtle ginger note. On October 21, 2017, winners of this year’s BC Beer Awards were named. 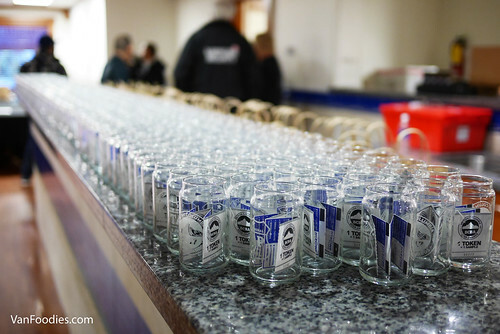 The ceremony was held in conjunction of a tasting event at the Croatian Cultural Centre. 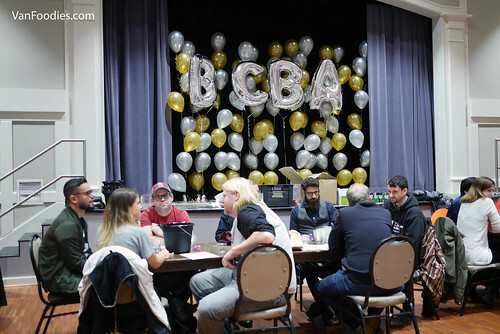 Over 65 breweries set up a booth and showcased their beers while celebrating with their peers as winners of 30 award categories were being announced. 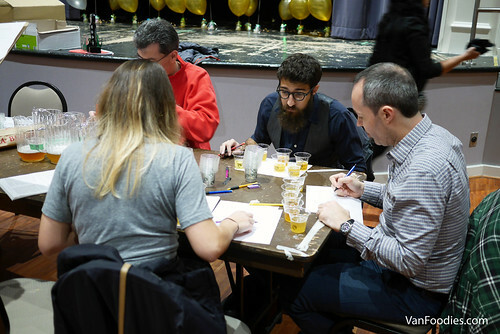 This year’s theme was SMaSH (Single Malt and Single Hop), so participating breweries were challenged to create a single malt and single hop beer to be considered for the Brewers Challenge Award. Last week I was invited to go on a media preview tour for Made in Strathcona, a new initiative by the Strathcona Business Improvement Association to promote the area. On May 31 and June 7, public can purchase tickets to tour some of the businesses in the area in various disciplines, such as manufacturing, textile/fashion, culinary and woodwork. Our tour consisted of four of the possible stops. 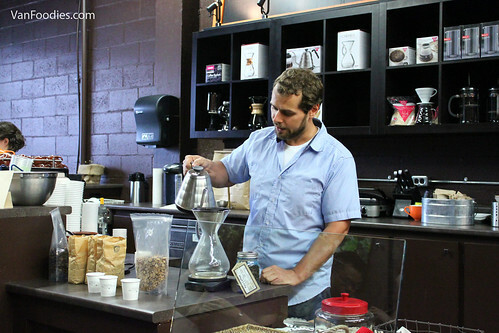 First, we learned a lot about coffee roasting and tasting at the A.G.R.O Roasters. 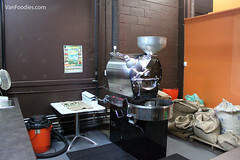 It was interesting to see the bean roaster on-site (they roast their beans in-house!!) but we didn’t get to see a demo. I never realized that light roast actually has more caffeine content than dark roast, even espresso beans. 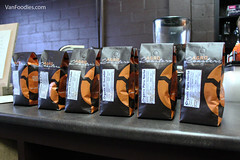 I do prefer the flavours of dark roast and espresso beans though so I wouldn’t switch to light roast for the caffeine. 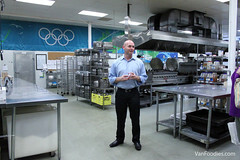 Then we checked out the facility of The Butler Did It Catering Co. 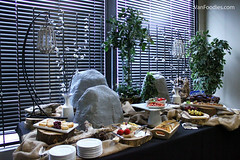 The 12,000 sq ft space handles catering orders from 8 to thousands. Sustainability is important to the operation and they compost all kitchen waste, approximately 800-1,000lb per week. Every piece equipment is the mammoth size of what I have at home. 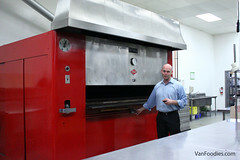 The roaster, aka Big Red, can roast 60 prime ribs or 50 turkeys at once, and the 24,000W coffee machine can pump out 1,200 cups worth of coffee per hour! !